1) Someone got our business bank account number and initiated an unauthorized withdraw. a) We had to complete, you guessed it, an unauthorized charge form. b) We had to use, you guessed it again, a paper form. c) Let's not forget no electronic signature. d) Finally, we had to send it by fax. Violation #1) Asking someone to complete a static paper form with no e-signature. Violation #2) Telling someone the return the document ONLY by Fax. After a massive one-hour energy drain the fraud department proceeded to give me the good news. They said, "You're dealing with the likelihood of ongoing fraud." 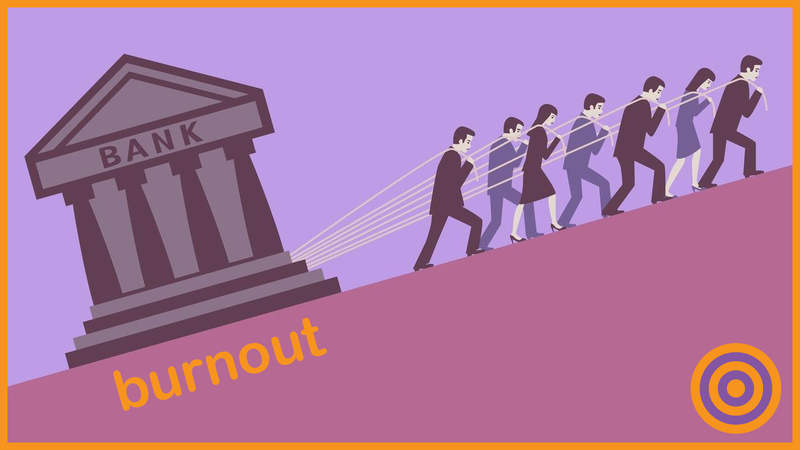 I had a funny feeling the Banking Burnout Bonanza™ was getting worse when they offered another Burnout Remedy. Now we have to push everything else aside in our business to change the debit card on file for every one of our subscription based vendors. Then we get to do the same thing all over again with ACH debit authorizations. Insurance companies are bigger "Paper-Fax" violators than banks. Now we have to complete and fax a new paper ACH from for our insurance company using our new bank account. Nothing like a pair of burnouts. They continued to tell me the $25 would be returned to our business account after the form was faxed. Separately, if we chose to initiate a fraud hold, our account would temporarily show an overdraft of $888,888.88 for several days. (I was thinking it'd be cool if we got that amount in the positive.) Also I never got the logic of a gigantic negative balance, however it's more comical than anything. I proceeded to tell the supervisor I appreciated the offer, however I was exhausted just thinking about the exercise. Add up the time with the fraud department, opening a new account and changing debit cards on file and you've easily wasted a day of your life when this happens to you. If you thought we printed out the form, filled it out by hand, signed it, scanned it and faxed it, you're sadly mistaken. Even when stone age methods get forced on us we still conquer the silliness with electronic speed and finesse. With trusty Adobe Pro, a jpg signature file and Fax Zero we banged out the form in record time. I wonder how much longer it will take those rusty old industries to get with it. We can always solve a Banking Burnout Bonanza™ even while handcuffed. Unauthorized charges, fraud departments, fraud holds, opening new bank accounts, worthless debit cards and wasting precious time don't exist with bitcoin. Just give us bitcoin and cryptocurrencies and we'll make magic happen. The best place to start is right here, The Ultimate Bitcoin Business Guide.